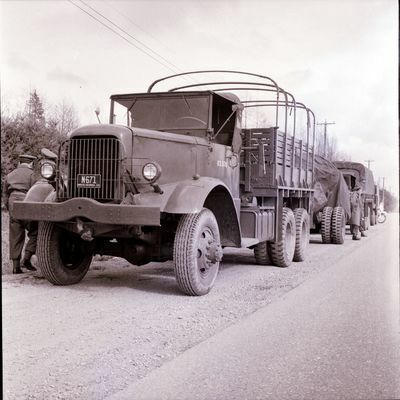 The large vehicle is a Mack NM6, Truck, Cargo, 6 Ton, 6x6. 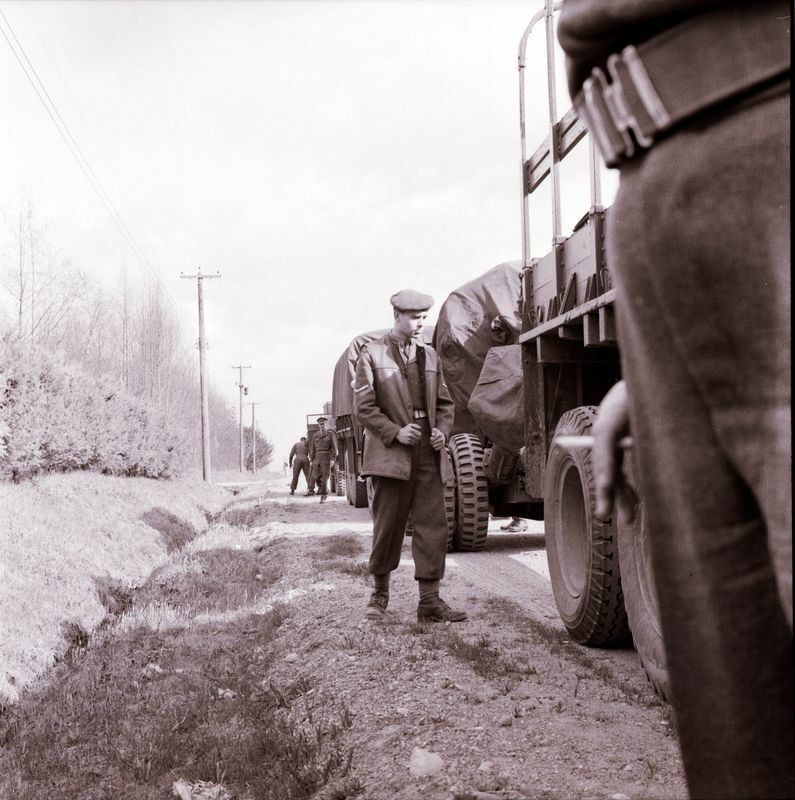 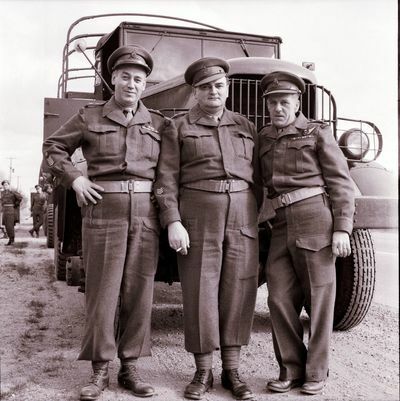 Bombardier Jim Mancor is standing with hands on hips. 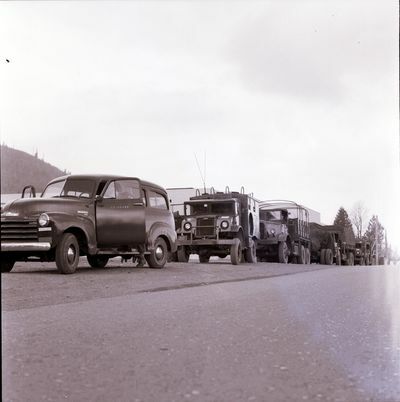 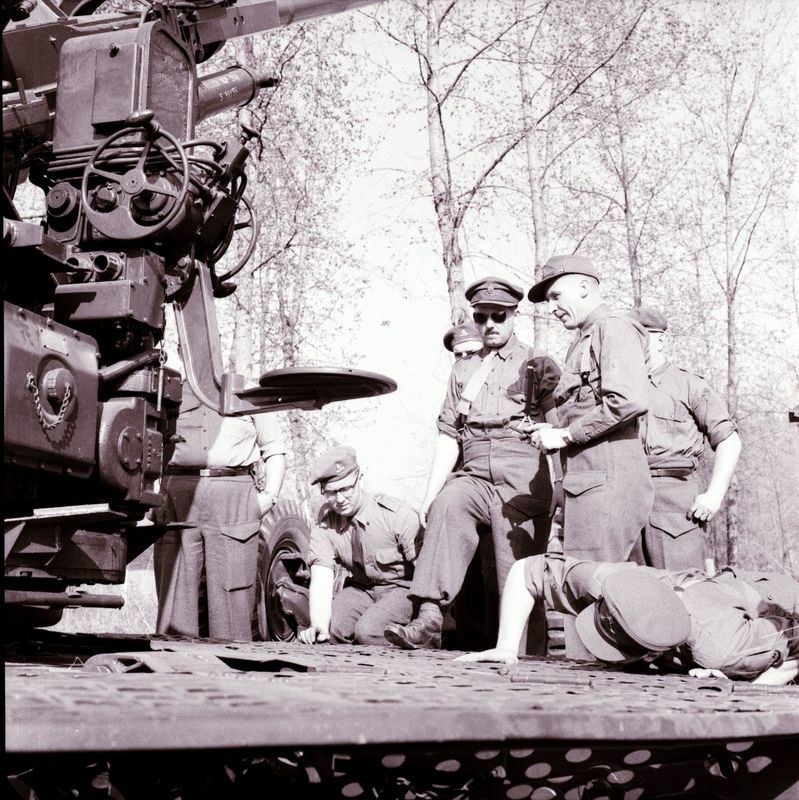 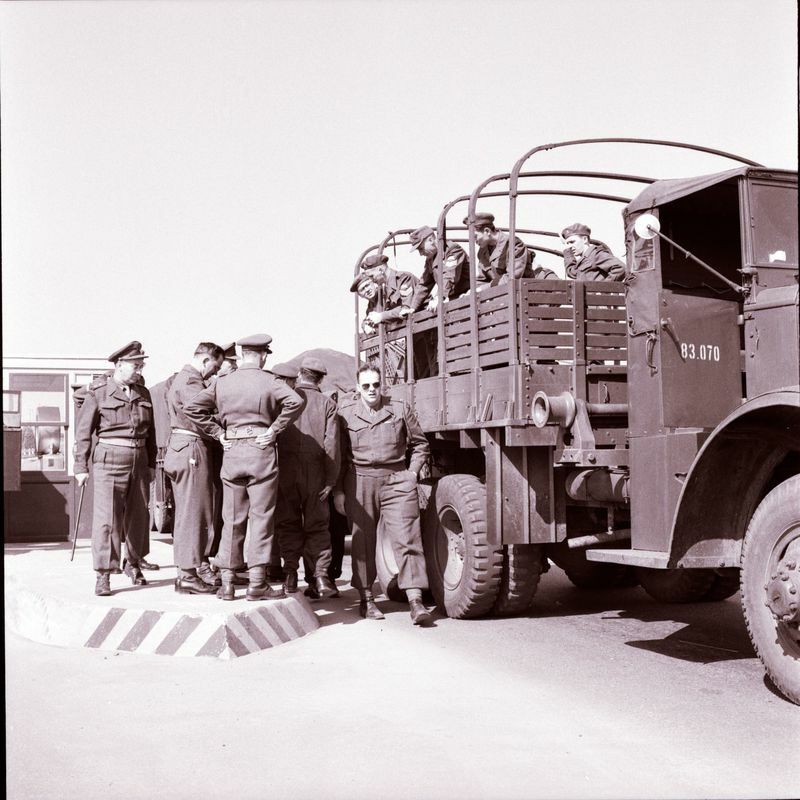 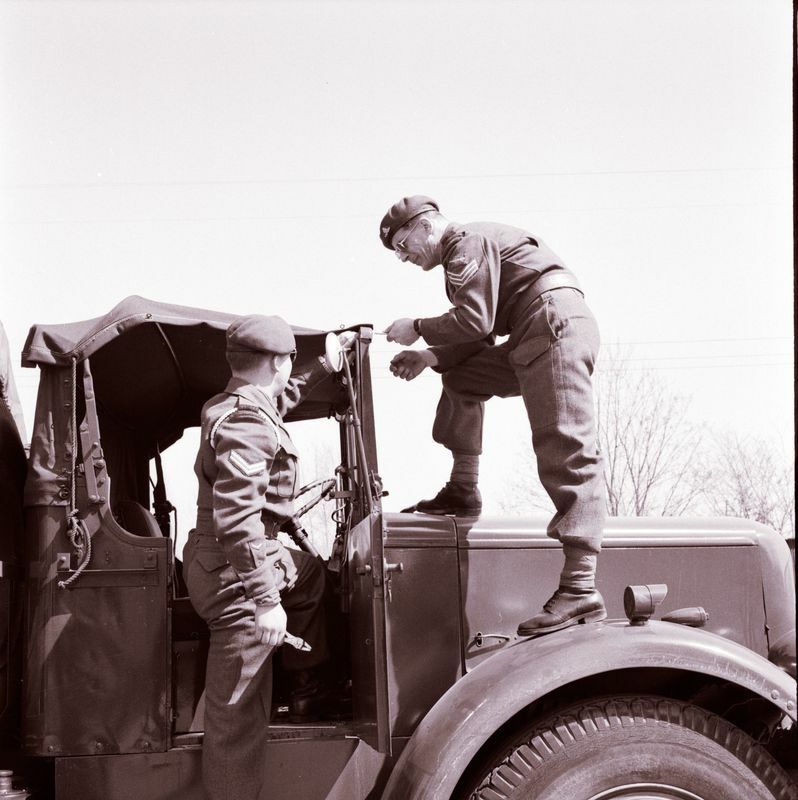 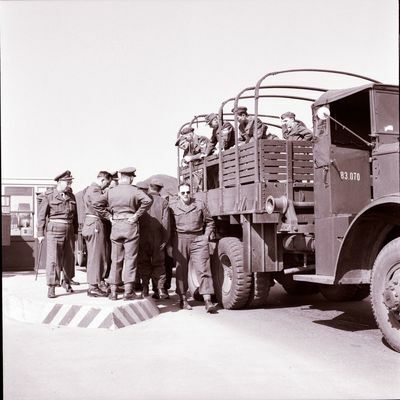 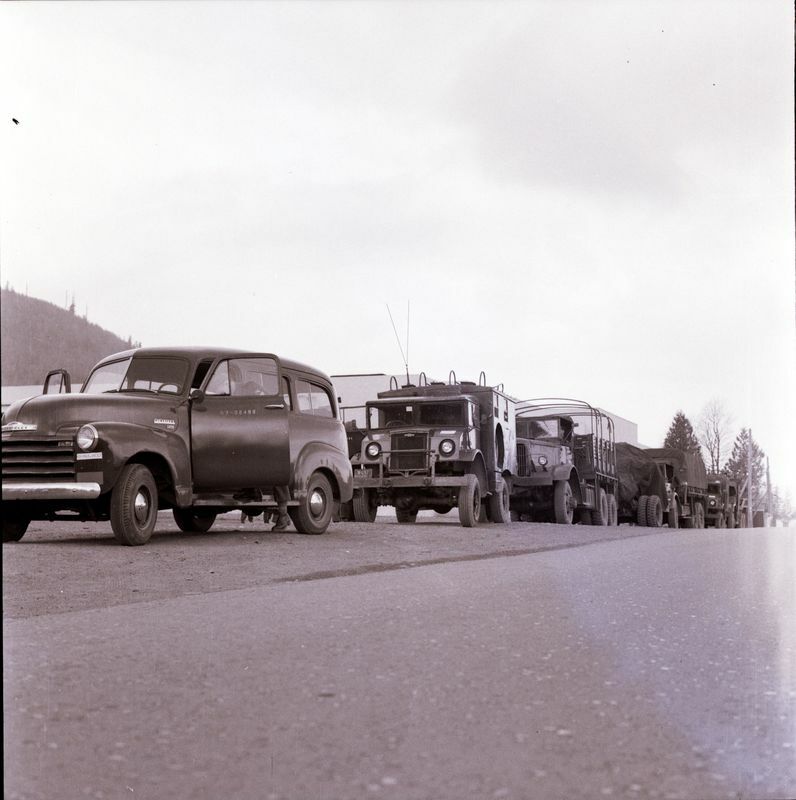 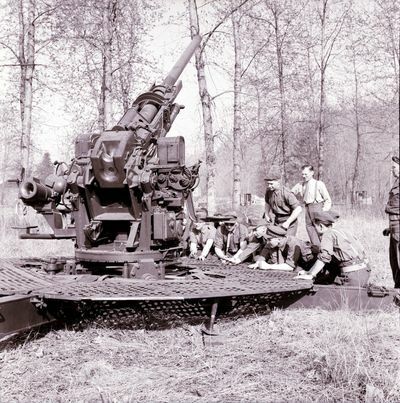 The 43rd also had some NM8 Gun Tractors, for towing the AA guns, which had a second pintle hook under an arched front bumper and a brake lever for the gun on the dashboard. 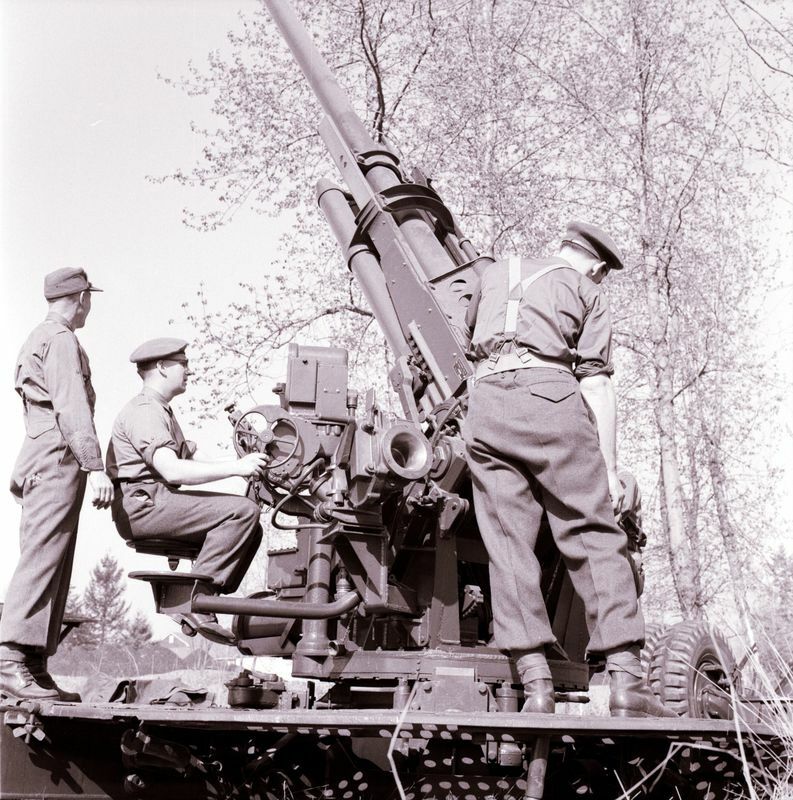 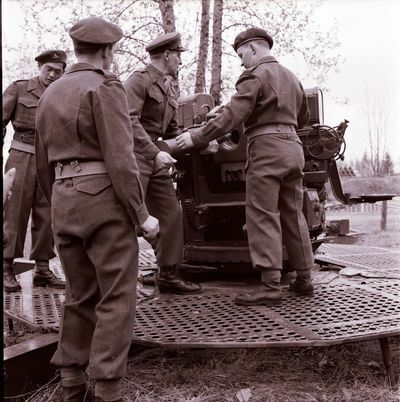 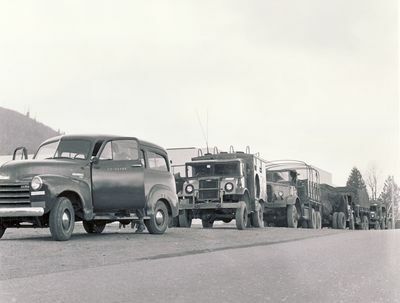 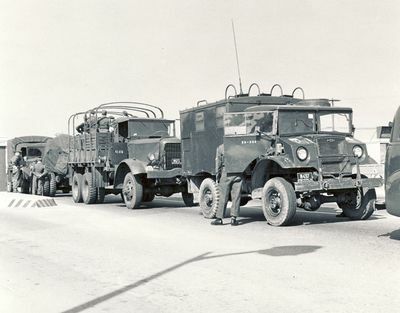 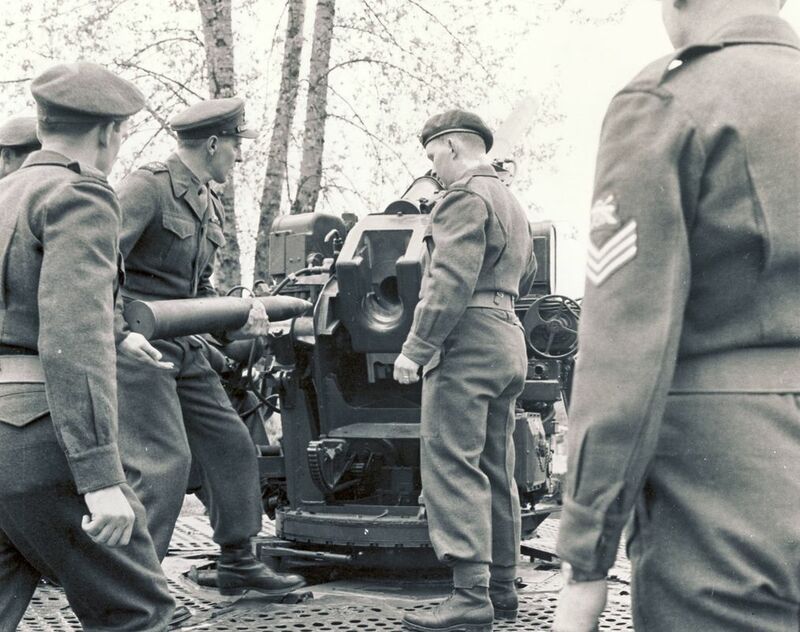 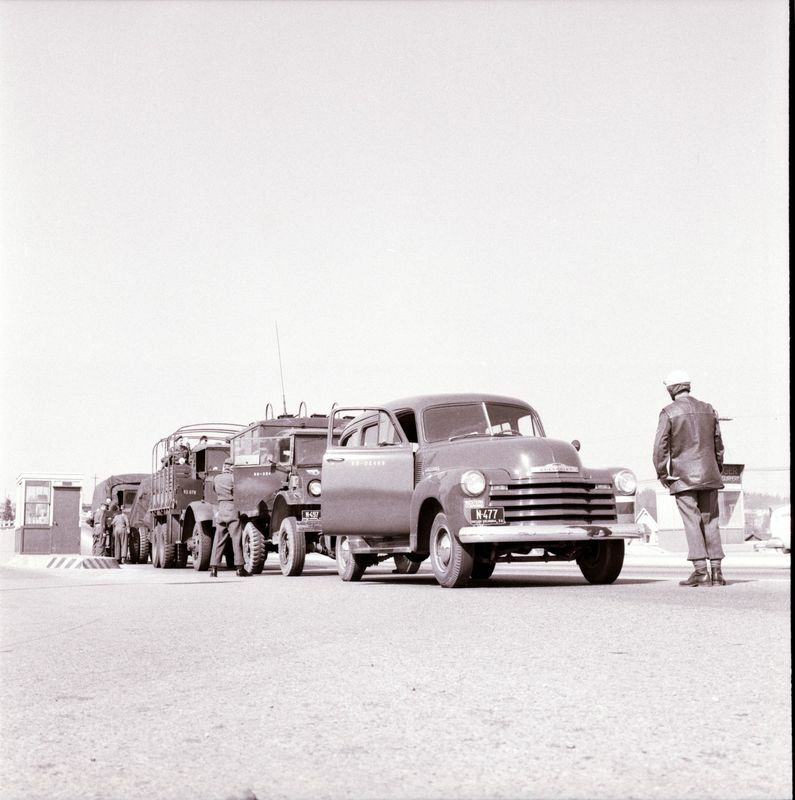 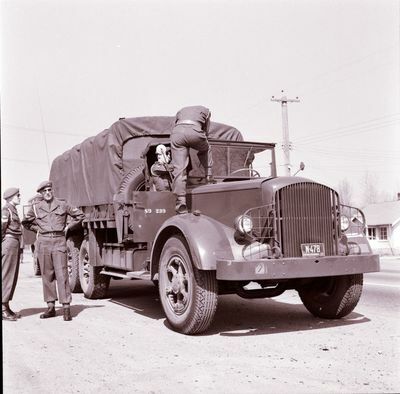 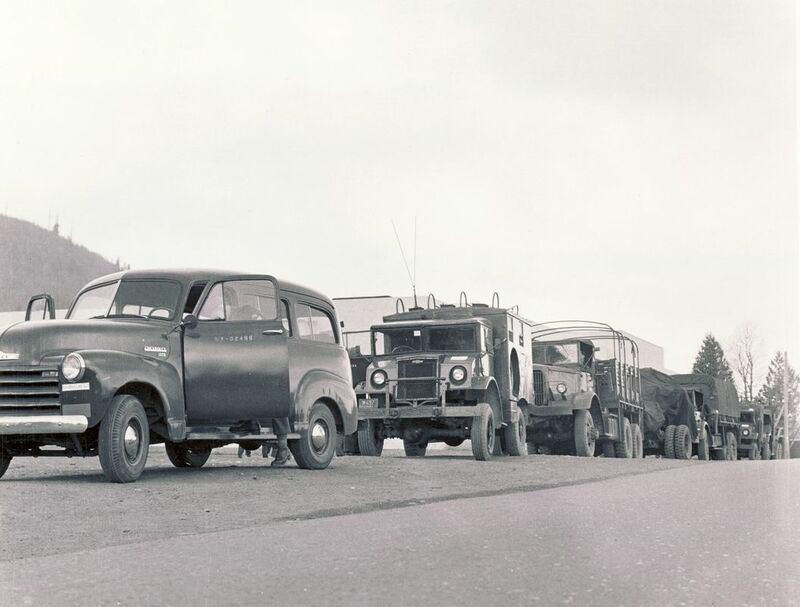 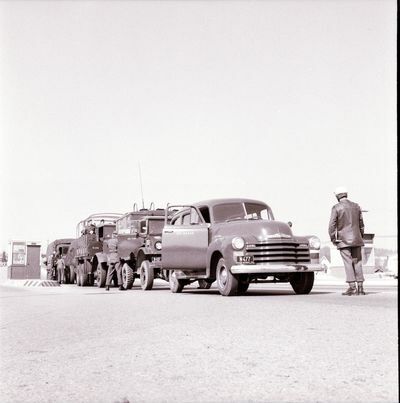 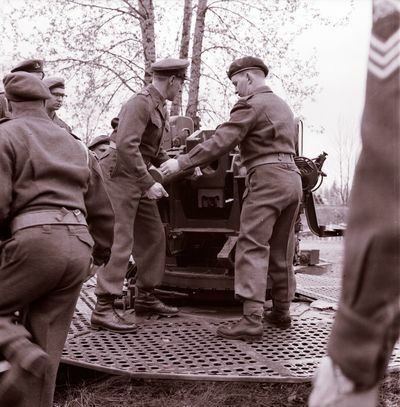 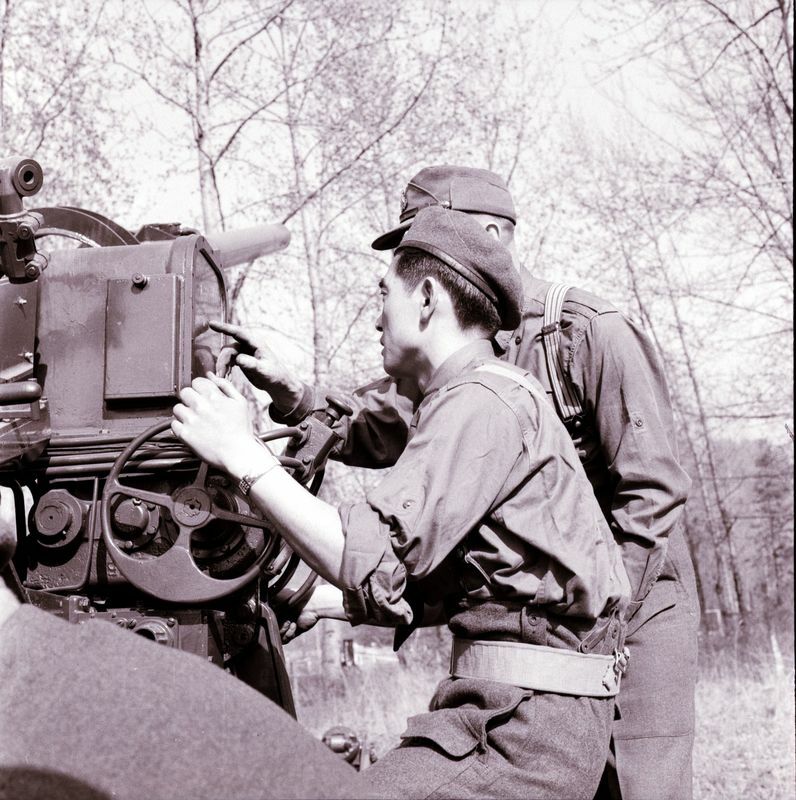 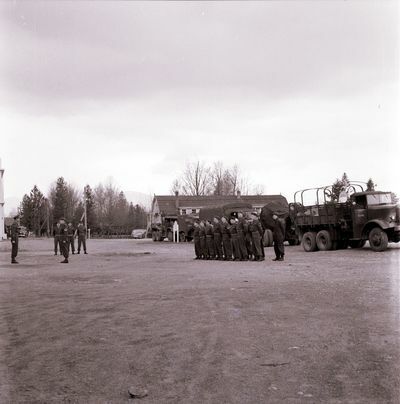 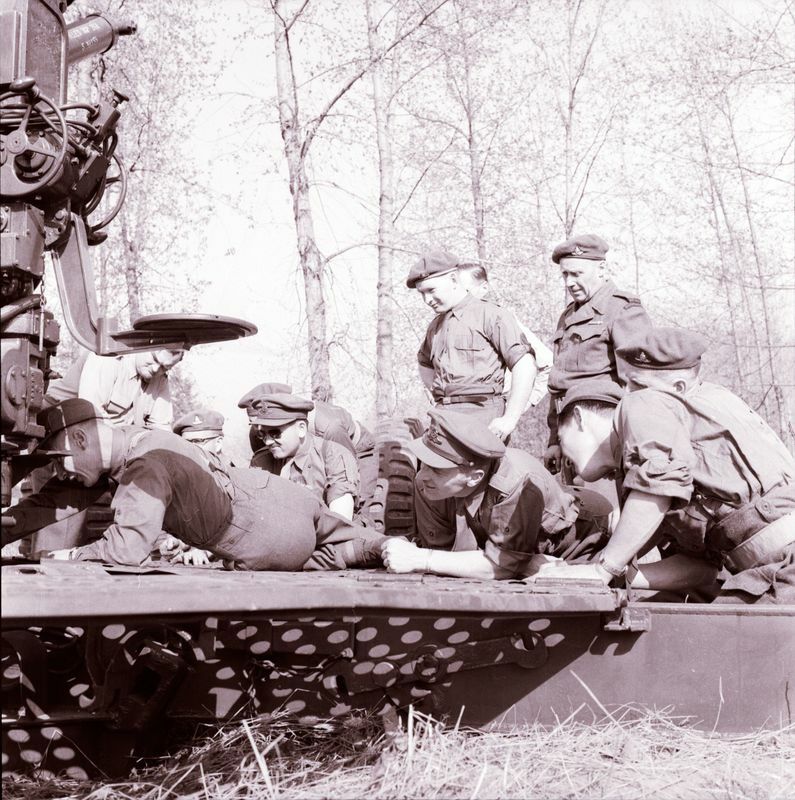 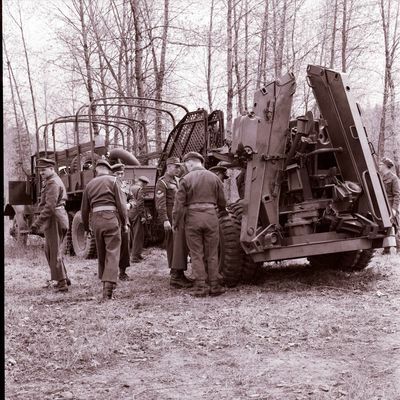 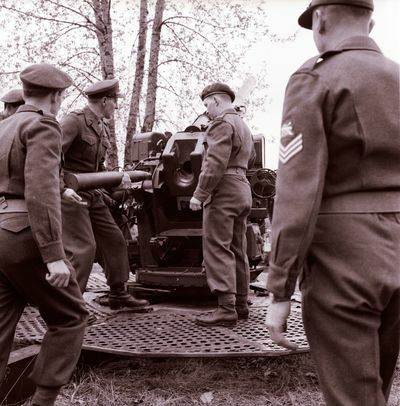 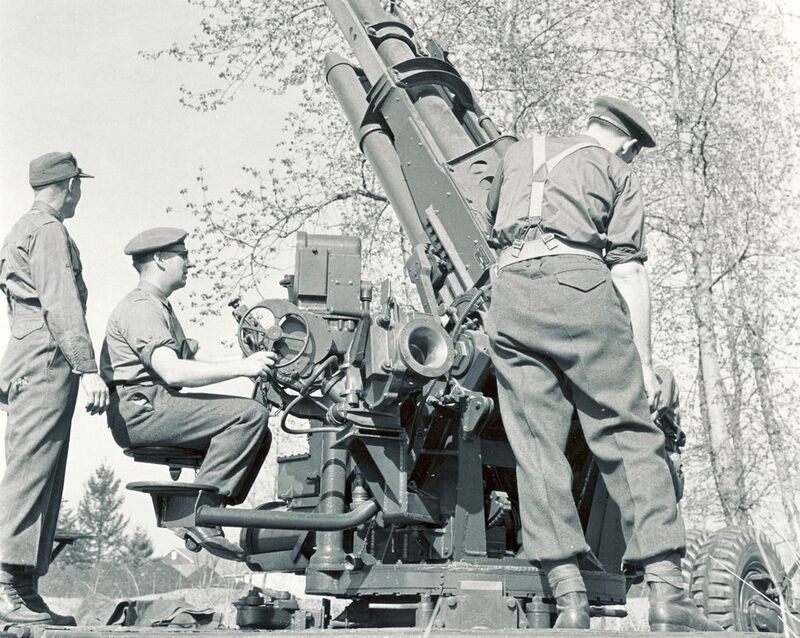 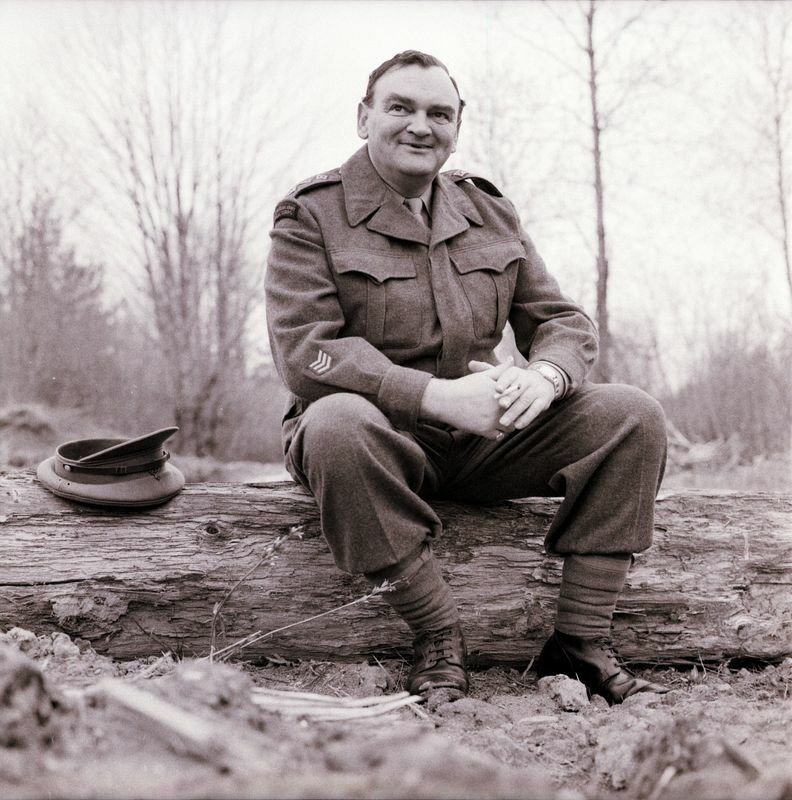 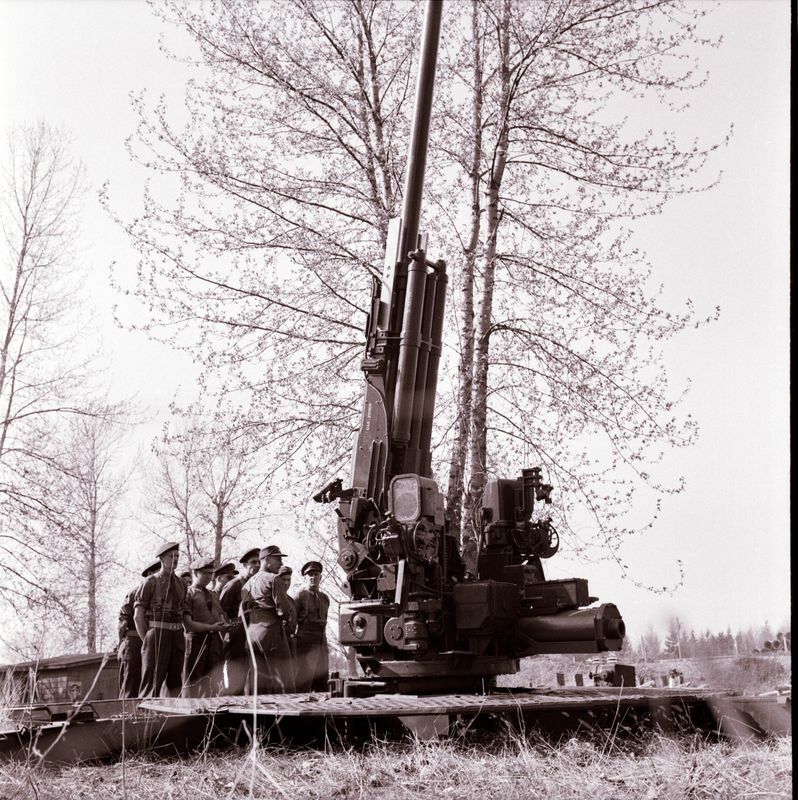 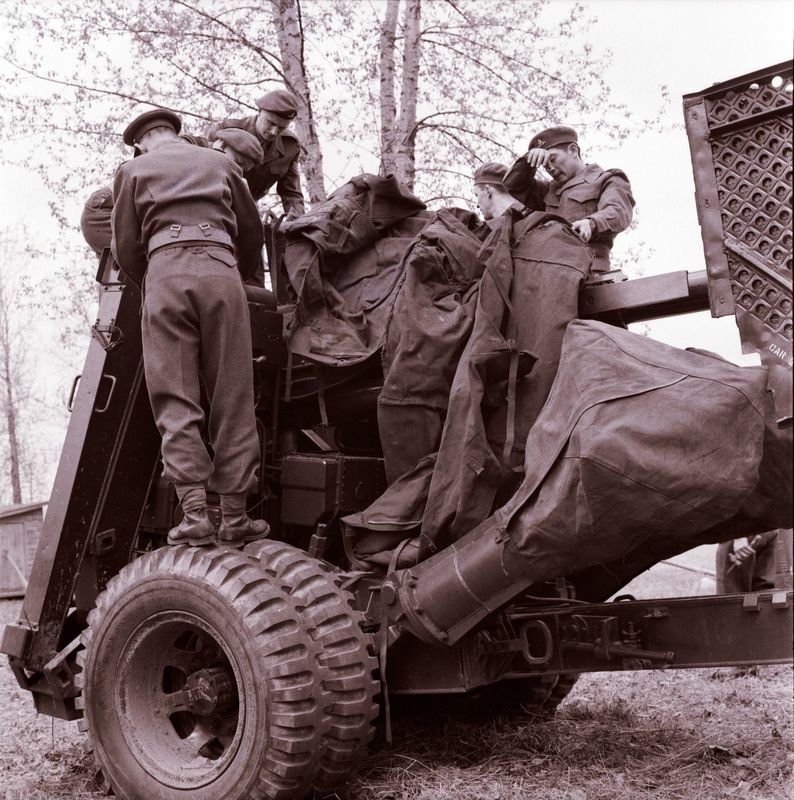 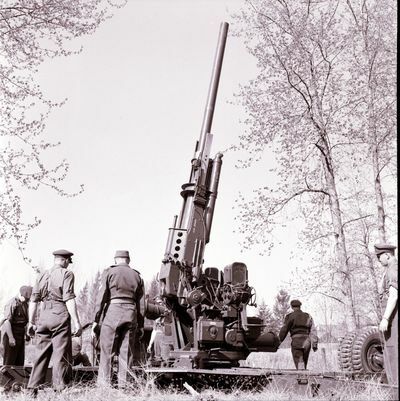 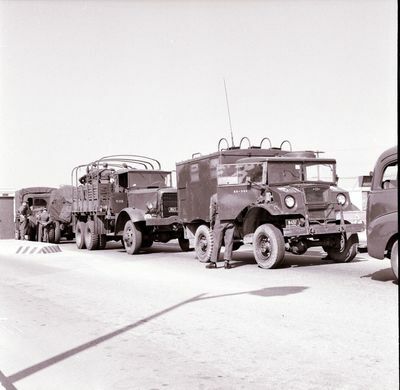 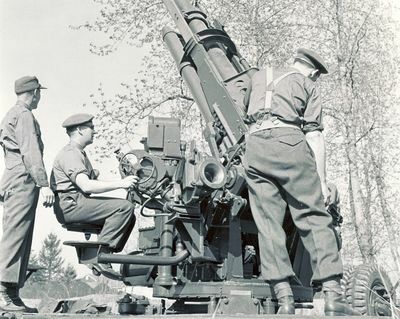 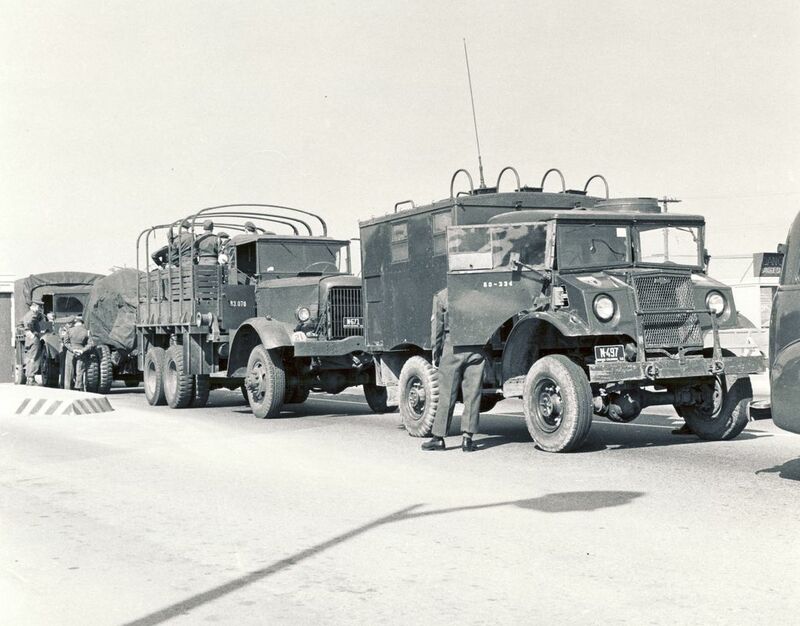 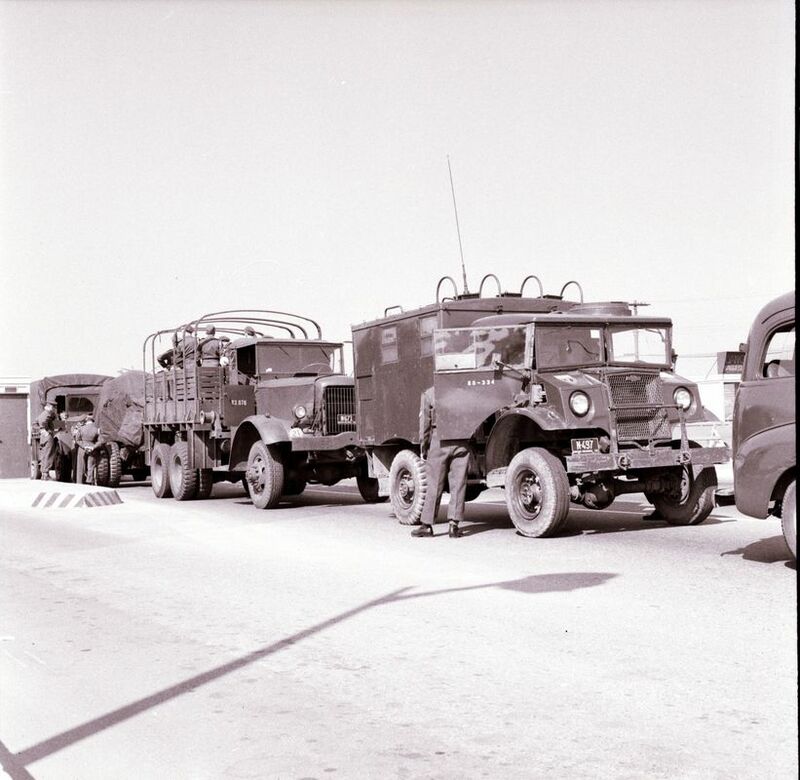 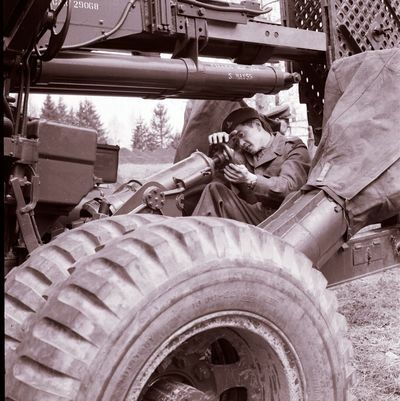 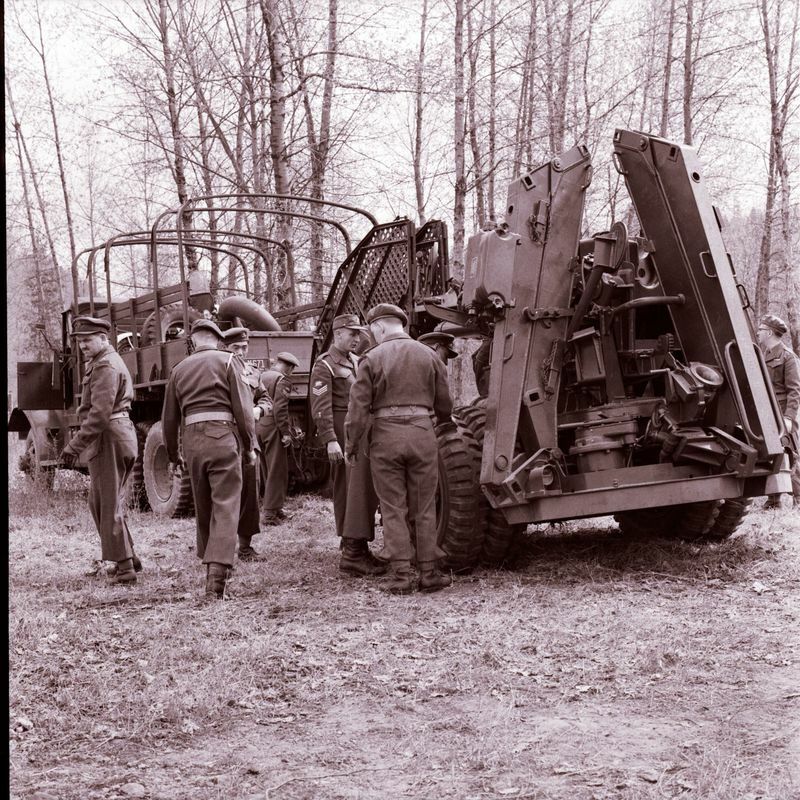 Two of the NM8s were re-issued to the 15 Field Artillery Regiment in the mid-60s when 85 Bty was equipped with two 155 How towed guns and became 85 Medium Battery.